Destructobot joins the Sluggers team as the "Tank" class. 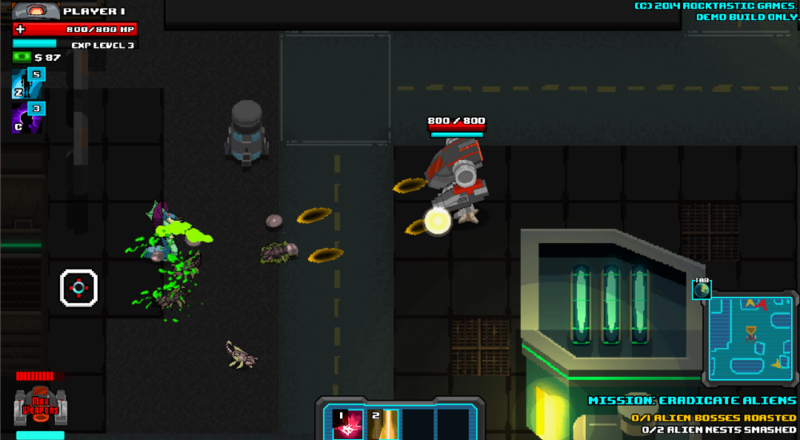 All of the 80's sci-fi cheese is here with an upcoming top-down shooter title, Space Sluggers. We've received a new trailer detailing some new content, including a robotic character (not you, Billy). One thing is for sure: this action shooter definitely has some personality to it. After we were only shown the first three characters Sam, Olga, and Rufus in the reveal trailer, we couldn't help but wonder about what other character would be playable in Space Sluggers. Each character specializes in different weapon types: Sam with machine guns, Olga with sniper rifles, and Rufus with melee weapons (specifically a chainsaw). So, what would the forth? The developers have also stated that the game will include a good portion of customization options for each character, allowing for lots of different play styles to be enjoyed. Maybe a flamethrower over a chainsaw? How about a jetpack over upgrading you spaceship? Would explosive bullets be better than regular ones? Spending experience on different stats can also change how well your character performs in battle. Working together as a four-man team, the bodies will quickly pile up. 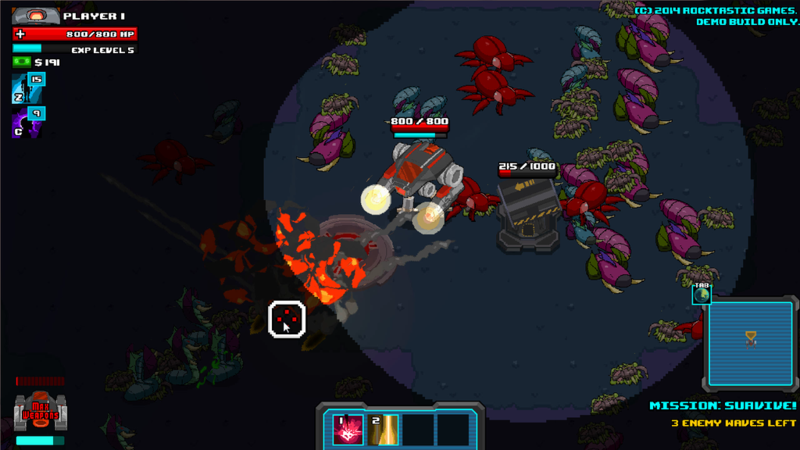 Space Sluggers is a 4-player online and local co-op title and scheduled to be released this year on PC, Mac, and Linux. Page created in 1.8562 seconds.